At Seasalt, we believe that beautiful design goes hand in hand with functionality. All of our garments are top quality, easy to wear, and easy to care for. TRIED & TESTED Lifetime Guarantee. We're experts in wet weather. We get more rain than almost anywhere here in Cornwall, so we take great pride in ensuring durability and longevity. We've been selling them for nearly forty years! We work with our suppliers to ensure the best quality fabrics and workmanship. We always try and make garments that last a long time and look as good as new for as long as possible. We will look to resolve any manufacturing defect in these garments free of charge. *International customers please email your details to our rain guarantee address. Share your birthday with us so that we can send you a birthday treat. I'm a new customer, please send me Seasalt Friends emails. I want to hear about new collections, inspiration and great offers all personalised to me. If you've registered with Seasalt before, you can contact our Customer Service team to update your marketing preferences. I'm a new customer, please send me Seasalt's latest catalogues and postcards. If you've registered with Seasalt before, you can contact our Customer Service team to update your marketing preferences . In order to keep the guarantee valid we require that the garment is cared for as recommended on the care label - find out more here. Inappropriate care, such as washing at too high a temperature, tumble drying or using a biological laundry product will invalidate the guarantee. 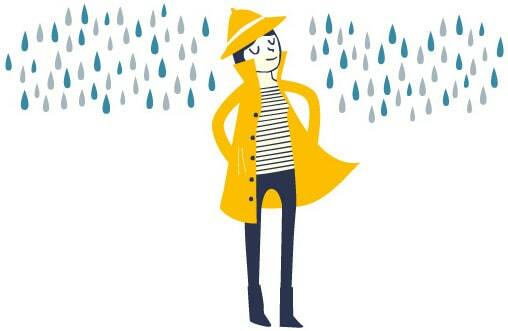 If you have a query or would like to make a claim for a Seasalt RAIN® jacket under the TRIED & TESTED lifetime guarantee please contact our customer service team on 01326 640075 or email. Please return jackets washed and cleaned. If you purchased it from one of our stockists then please contact them directly in the first instance. A list of our stockists can be found here. Please retain your proof of the purchase (till receipt or order number), as this will be needed in the event of any query.